The robotic milking system sector continues to grow across DHI and and the Canadian dairy industry. With the increase of customers now using automated milking systems, DHI has developed resources and invested in new technology to support innovation and assist producers with their transition to robotic milking. 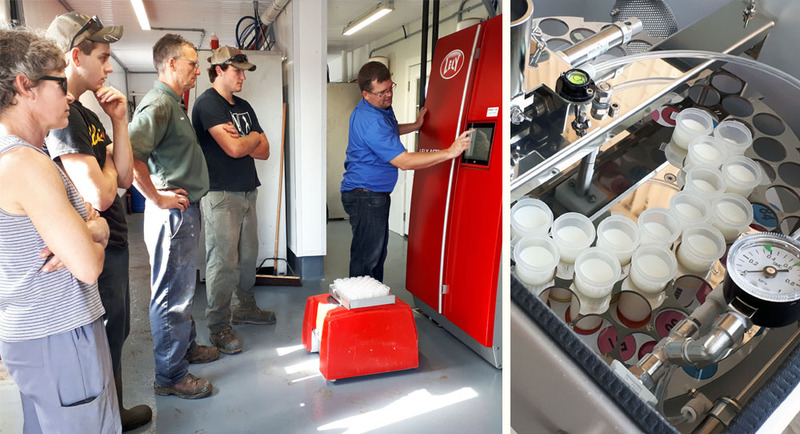 Robotic milk testing provides the opportunity to complement the on-farm data supplied by your automatic milking system. DHI herd data is highly beneficial for monitoring overall herd and individual animal performance, providing benchmarking data and long-term trend analysis. The data provided on your herd reports can be incredibly useful in providing comprehensive insights to your herd. Through short and long term trend analysis, herd reports provide customers with continual snapshots of their herd performance through a variety of measures that can guide decision making. Robotic customers gain access to benchmarking data specific to robot herds that enables them to track their performance and measure themselves against comparable dairy operations. Benchmarking data is also available for industry-wide comparisons, regardless of milking system. With the investment in the new Ori-Sampler, robotic milk sampling is now easier and more accurate than ever. The Ori-Sampler is ICAR-approved, lightweight, easy to handle and works with multiple robotic brands. A significant investment, this new sampler is being systematically rolled out to herds across DHI and will eventually be available to all robotic herds. Our Robot Services Specialist (RSS) is highly skilled and experienced with all types of robotic sampling equipment. Our RSS is a great resource to help with problem solving and can answer many of the questions you may have. Our Customer Service department can help with questions regarding milk recording and any of our other herd management products and services. DHI has developed many resources that can easily be accessed from anywhere. From how-to YouTube videos to instruction manuals, we’ve curated a full list of resources for robotic milking herd. 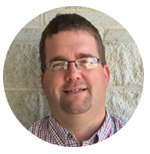 For more information or questions about DHI Robotic Services, please contact our Robot Services Specialist, Jeff Parker.